Bradley Walters served as an Invited Visiting Critic at the University of Tennessee at Knoxville for the Fall 2014 reviews. Walters, Bradley. 2014. “Final Undergraduate and Graduate Studio Reviews.” School of Architecture, University of Tennessee at Knoxville, Knoxville, Tennessee. ARCH 471, Integration Design Studio: Fourth Year Architecture + Graduate (Faculty: Jennifer Akerman), November 24, 2014. 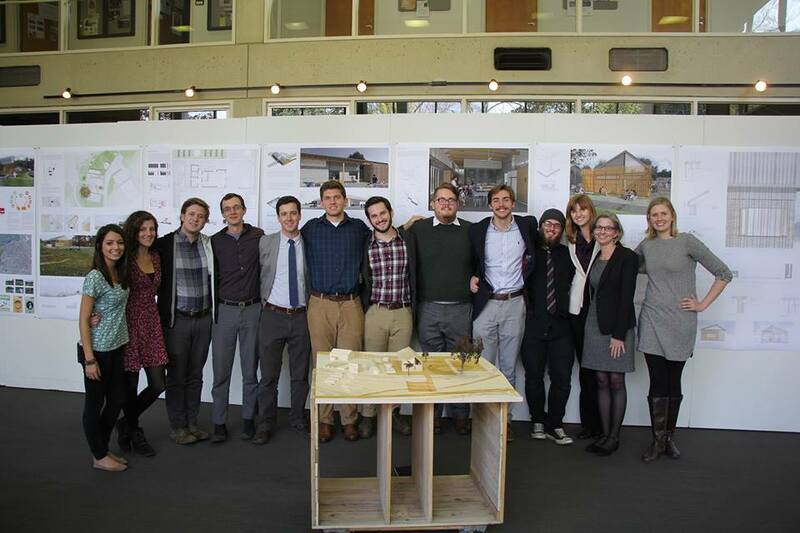 ARCH 471, Integration Design Studio: Fourth Year Architecture + Graduate (Faculty: Bill Martella), November 24, 2014. ARCH 483, Advanced Architectural Design: Urbanism: Fifth Year Architecture + Graduate (Faculty: Hansjörg Göritz), November 25, 2014. ARCH 489, Advanced Architectural Design: Structural Innovation: Fifth Year Architecture + Graduate (Faculty: Ted Shelton), November 25, 2014. UTK Team Beardsley Farm, with Assistant Professor Jennifer Akerman. Photo: UT College of Architecture and Design.